Gazi Fuad is a Photo Editor and Chief Photographer for the school yearbook ‘The Observatory.’ He finds taking journalistic photos that tell a story to be appealing as the photos often hold some sort of significance, either to the person in the photo and/or the world around us in general. Outside of school, he is part of a team of photographers. that run the Facebook page ‘Humans of Bronx Science’ which interviews individuals from the Bronx Science community about their lives and any stories they have to share. During his free time, Gazi also interns and volunteers for a tutorial in which he is a teacher assistant and helps in teaching children from elementary school to high school Math, English, and Science. 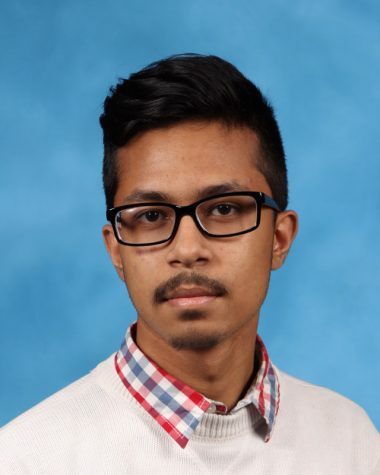 In college, Gazi plans to either study some sort of engineering such as electrical or biomedical engineering, or in a field of business and economics. He sees himself taking up a role as a photographer for an organization such as a newspaper or publication in the future, as well as continuing his photography interests. Within ten years, Gazi sees himself having a successful career as an engineer or working as a businessman for a company while also still practicing photography in some way or another.